A Supreme Court Bench comprising of Justice A.R. Dave, Justice J. Chelameswar and Justice M.B. Lokur has restrained all High Courts from entertaining any petition challenging validity of the 121st Constitutional Amendment Act and the National Judicial Appointments Commission (NJAC) Act brought to replace the collegium system introduced in 1993. The Apex Court, on Tuesday, began heading on the validity of the Acts. 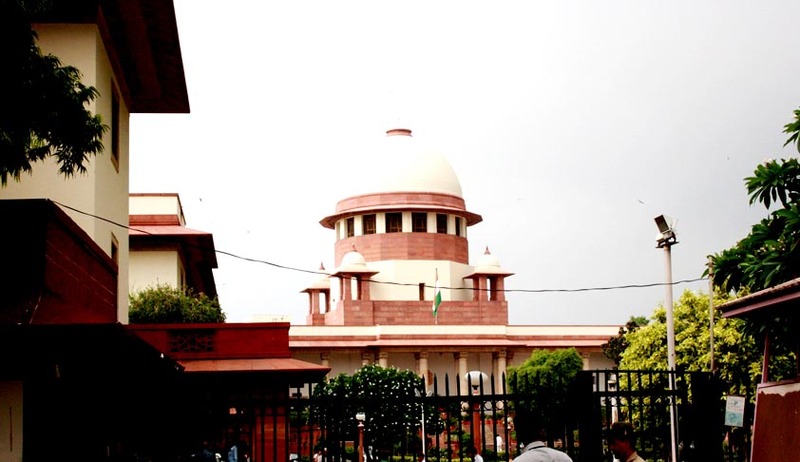 Senior advocates Fali Nariman and Anil Divan, who were appearing for Supreme Court Advocates-on-Record Association (SCAORA) and an advocate respectively, contended that the NJAC would erode the independence of the judiciary. Mr. Nariman and Mr. Divan had stressed that fait accompli should not be allowed to take place and an order should be passed to maintain status quo by referring the matter before a five-judge Constitution Bench otherwise the entire exercise would become a "dodo". Attorney General Mukul Rohatgi contended before the Supreme Court that the question of an interim order of stay does not arise since the Acts haven’t been notified yet. "It is our stand that Parliament has absolute power and competence to pass Constitutional amendments and legislation," the AG said, adding that in an overwhelming manner Parliament and states have brought about the change and the "will" of the legislature cannot be ignored. The AG also questioned the “fear” associated with the petitions since the seniority of judges in appointing the CJI has not been touched in the NJAC Act. The AG also responded to the contention that the Acts erode the basic structure of the Indian Constitution, by stating that, "The Constitution did not say that three judges will sit together and decide the appointment of judges." The AG further averred that the apprehension of the other side is "alarmist" and said that "there was no basis to say that executive will gang up". The Centre was supported by Senior Advocate Dushyant Dave, who intervened on behalf of the Supreme Court Bar Association (SCBA). He asserted that the present legislation is a "brilliant mixture of executives, judiciary and the civil society". He also said the functioning of the collegium system has always been shrouded in secrecy and moreover, "there is no cause of action today as the Acts are not notified". Senior advocate T.R. Andhyarujina also supported Centre's stand on the issue saying, "In no country of the world this system of judges appointing their brethren is operating". The SCBA has termed the stand of the Association of Advocates-on-Record to oppose the legislation, as ‘unfortunate’. "This is unfortunate that the Supreme Court Advocates-On- Record Association (SCAORA) has filed the petition (against the NJAC Act). I had advised against it but they went ahead and filed it," senior advocate and SCBA President Dushyant Dave was quoted as saying. Fresh Petitions were filed by the Supreme Court in January, by the Supreme Court Advocates on Record Association, Senior Advocate Bhim Singh and Senior Advocate Bishwajit Bhattacharya. Read the Petitions and LiveLaw story here. Read more news about the Acts here.